Part of the show Should I Lie Down to Tan? In 1918 two Austrian physicists worked out that if Einstein was right any large spinning object should drag space and time around it. So if you are near the spinning object your idea of not spinning should be different to the idea of someone in deep space. The problem is that although this would be quite noticeable if you were near to something very heavy spinning very fast, there is nothing nearby that is heavy enough to make a large effect. Near the Earth the effect should only be tiny. 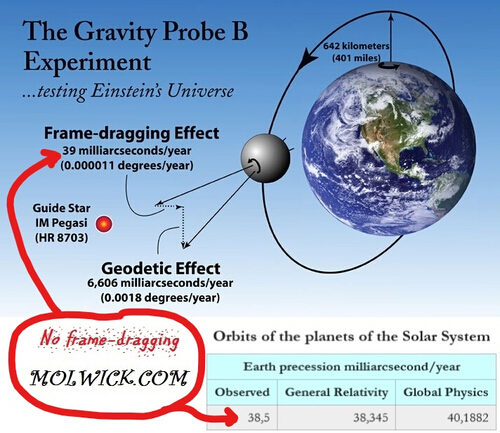 This is such a big problem, in fact, that the project to measure this effect has taken 52 years, and produced a satellite called Gravity probe B. This is an incredible mission using some of the most outstanding physics out there. Basically, it involves incredibly smooth spheres covered with a thin layer of superconductor spinning very fast and acting as a gyroscope. If there are no external influences, these should keep pointing in the same direction. The satellite detects their direction using superconducting sensors called SQUIDs and compares them to a fixed star. The whole thing has to be cooled to make sure the superconductors work, and minimise thermal noise; to reduce friction, it is cooled using superfluid liquid helium, which has no viscosity, minimising its effect on the gyroscopes. 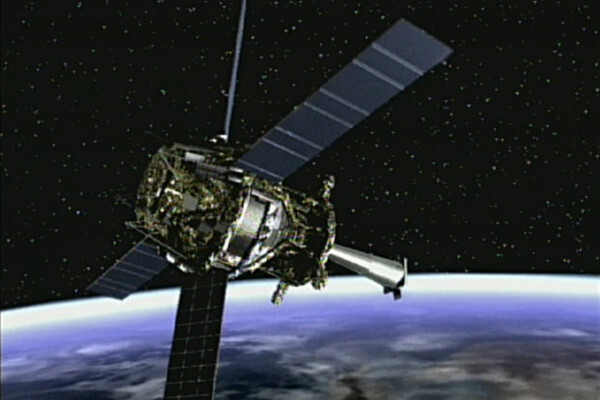 The satellite was lauched in 2004 and took measurements for 18 months until the helium ran out, it has then taken about 5 years to analyse the data properly, coming out with a figure of about 10.3 millionths of a degree per year for the frame dragging effect, which compares well with 10.8 millionths of a degree per year which relativity predicts. They also found a very good agreement for a second effect called geodetic precession. These not only show how good Einsten's theories are, but allow astonomers to improve their models of heavy objects like neutron stars and black holes. How do Astronomers Know Where Planets Are?